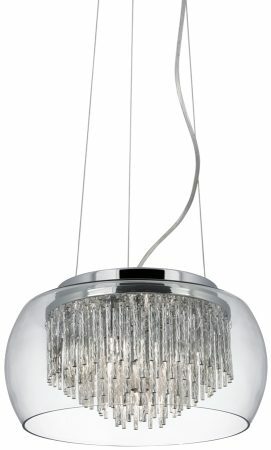 The Curva clear glass shade 4 light ceiling fitting, with aluminium spiral tubes looks stunning in any bedroom, living room, dining room or kitchen. The modern design and ornate spiral tubes create a unique look, with a stylish chrome, aluminium and glass finish, and the four lights illuminate the entire room. 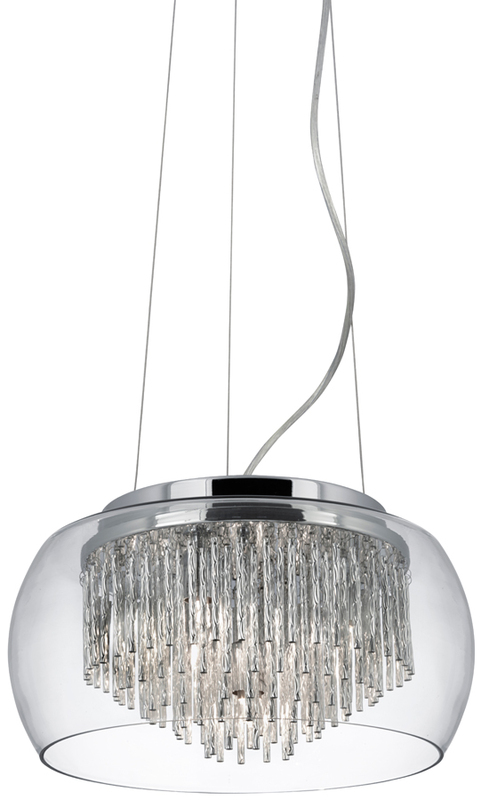 The wire suspension can easily be adjusted for different ceiling heights. A 350mm diameter clear glass bowl containing layers of hanging spiral aluminium tubes that surround the lamps. The light will bounce and reflect off the tubes creating an interesting sparkly atmosphere. The fitting is elegantly suspended from the matching ceiling plate by three slender steel wires and a clear encased power flex. 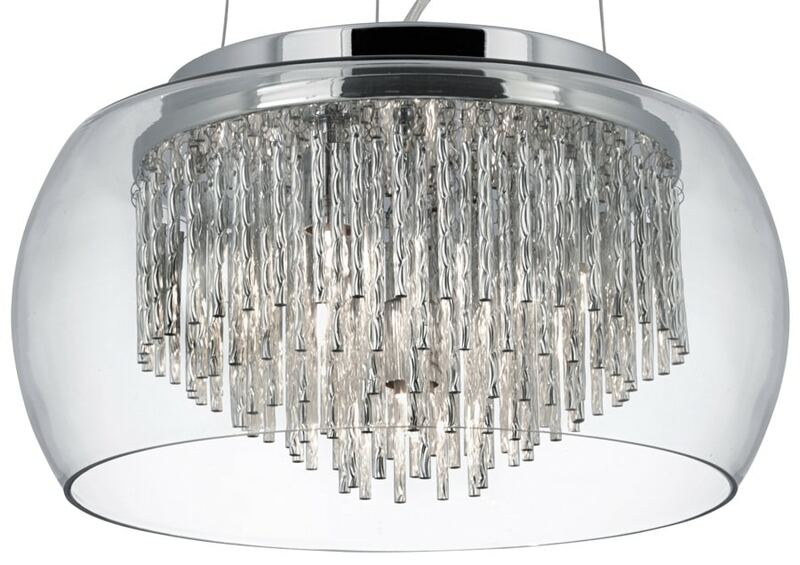 This sophisticated light fitting is height adjustable at time of installation, maximum height 800mm and would make a fantastic centre piece for that freshly decorated living room or dining area.